We hope this will be a comprehensive introduction for you to visit before you travel to Scotland! 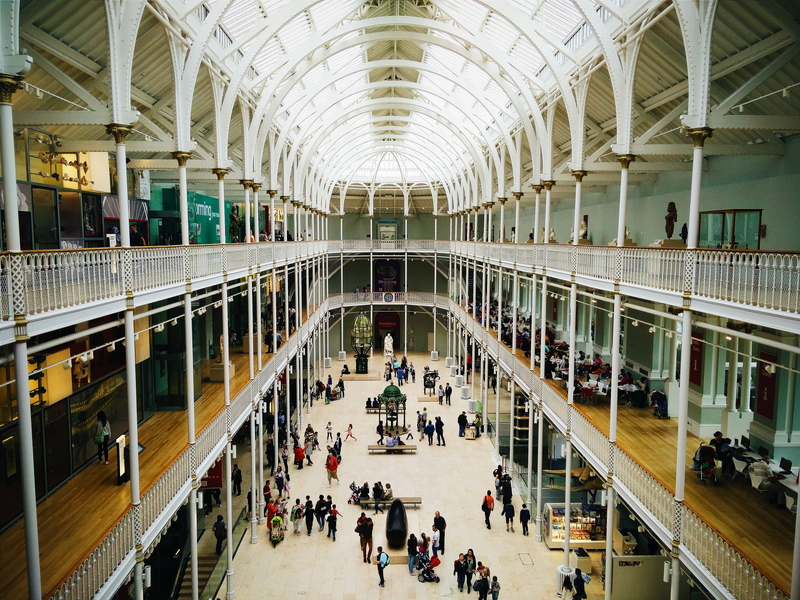 National Gallery of Scotland was designed by W H Playfair and built in 1845. And has a fine collection of Scottish, English and European paintings and sculpture. Palace of Holyrood House - Built by James 1V in 1501 - most of the building being destroyed by the English Army in 1544, Charles 11 rebuilt it. It is the official Scottish residence of the royal family. Royal Bank of Scotland was designed by Sir William Chambers and built in 1771 as a town house for Sir Laurence Dundas - becoming the bank headquarters in 1825. Usher Hall - designed by Stockdale Harrison and built in 1910 it is the city's main concert hall. Register House - Designed by Robert Adam and built in 1774 it contains historical and legal documents dating back to the 13th century. St Mary's Cathedral designed by Sir George Gilbert Scott and built in 1879. Canongate Church built in 1688 by James V11. Nelson Monument was built in 1816 Robert Burns Monument designed by Thomas Hamilton and built in 1830.